When using your 2go PC Convertible touchscreen, the input from your stylus may not match where your cursor is. Your 2go PC Convertible may need to have its touchscreen calibrated. Double click the icon on your desktop labeled "9 Point Calibration". Touch each of the 9 points as they light up on your screen. Here you should see the "9 points calibration" icon. If your 2go PC is still having issues after running the calibration, try downloading and installing updated touchscreen drivers. 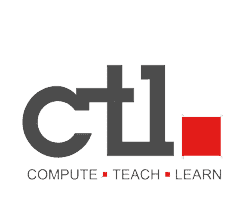 Visit CTL's 2go PC website.